With the growing reliance of just about any organisation on technology, there are suggestions that CIOs will start moving up into the CEO position. According to the Accenture Technology Vision 2015 report, based on a global survey of more than 2 000 IT and business executives, four out of five respondents said they expect to see a dramatic blurring of industry boundaries. In addition, 60 percent said they plan to engage new partners in their industries, and 40 percent said they plan to connect with digital partners outside their industries. It's been said that every organisation has become an IT organisation - that the products and services that any business creates or sells are now supported by and expressed in technology to such an extent that the technology defines the organisation more than the product or service. There has also been increased focus on the role of the CIO not just as the person who supports the business function, but as someone who is actually responsible for it, and therefore has to learn to integrate more closely with and speak the language of the rest of the C-Suite. Given their increasing role in driving the business, some people have even suggested that CIOs will increasingly become candidates for the position of CEO - a career path that was generally regarded as unlikely in the past. However, many still protest that the CIO role is one of specialisation in a very particular field, and that while technology might be more widely used than ever before, expertise in this area still doesn't translate into the broader competencies required of the CEO. This is what Joerg Heistermann, CEO of the Americas for IDS Scheer and previously CIO of a pan- European mail order and e-commerce company, had to say about the trend, in Forbes. "It's the exclusive focus on this very passion (technology) that inhibits CIOs from growing into a CEO role. To get to the next level, CIOs have to expand their area of interest, gain new communications skills and learn the language of business." We spoke to three CEOs about their backgrounds and paths to their current roles, and whether they believe technological proficiency has become a vital skill for the people at the top. 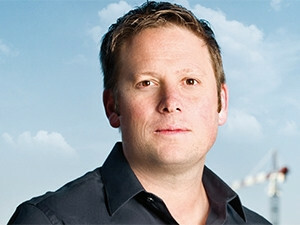 Grant Field, CEO of FedGroup, is one such CIO who has made it to the top seat. He studied engineering at university, but never worked as an engineer. He says his studies 'taught me how to think', and this proved invaluable when he started his own business after graduation. He then joined FedGroup, which is a family-owned business, working in IT. "Some people get stuck and never move out of IT. They get into dev mode and that's where they stay." However, Field moved around in the business, always staying abreast of the IT function because of his own interest in the area. He then served as CIO and was ultimately appointed as CEO, a role in which he was able to use his proficiency in IT to his advantage, while still being able to leverage all the other competencies his experience had gained him. "As a CEO, you are responsible for an organisation's leadership and direction. It's important to have two seconds-in-command in different areas to ensure that you have the right capital allocation and are spending it correctly. You need to understand marketing principles. And, of course, you must have IT competency because technology has become part of the business. If you don't understand technology, it's going to make your life difficult." He says FedGroup's investment in technology over the past five years has allowed them to play competitively in the financial services landscape, which is why his IT understanding is crucial in his role as CEO. "We've worked out where we didn't need human intervention, because people are essential, but we don't want them doing boring work, which brought down transaction costs. We now run a single system across eight businesses, which allows us to serve our clients better because we have a single understanding of who they are." He adds it's important to understand that he's not suggesting that any organisation take a propeller-head out of the IT department and make them lead the company. "CEOs need to understand technology. That doesn't mean the other requirements of the role have disappeared." I don't think we need to know how everything works - just what the systems can do and what is possible on a macro level for the business. He believes that, fundamentally, an understanding of technology is only really useful if you also understand people. "You have to understand their basic human needs - if you try to navigate as a CEO without understanding people, you're going to struggle to get anywhere." Stuart Kantor, CEO of Kanan Wealth, says people in his role must certainly know what IT is capable of delivering, but believes it is possible to rely on other people's in-depth understanding of technology to support this understanding. "We need to know what IT is capable of so we can use it in strategy and decision making to the best of our ability," he says. "But I don't think we need to know how everything works - just what the systems can do and what is possible on a macro level for the business." He has a degree in business science and has completed various financial planning and trading courses that are applicable to his company's offerings. A staff member heads up Kanan's operations, and works with the technology required by the business, but there is currently no need for an internal CIO position to be filled. "I delegate to my staff, and we're always thinking about what technology can do for us. A business degree teaches you how to think about solving problems. Then you have to take this problem-solving skill and find the technology to help you implement the solutions." Peter Collins, CEO of Grand Towers Property Fund, believes IT is only a portion of the skills set that is required from CEOs - and that the skills required are also sector-dependent. "It's difficult to generalise, and obviously, I can only comment from a property fund basis, but my view is that while IT is a key functionality, there are certainly other functions," he says. He adds that he's not convinced the average CIO would have the capability and skills for the kind of high-level business deals for which CEOs in his sector are responsible. "Sure, they're capable of growing turnover theoretically through technology, but there are so many other skills they won't have - like human resources, structural, regulatory and revenue generation. If a CIO happened to have developed competency in those areas, then it would work out, but if they had built their career by only focusing on tech issues, they will fall short." Collins' organisation is heavily reliant on its supporting technology - from SAP to project management systems. "They are a major aspect of our business, but I take the pragmatic view that technology must serve me and not the other way around." From the views of these three different executives, one thing is clear: while technology plays an increasingly important role in organisations, and CEOs had best be aware of the capabilities that it can deliver, this understanding will never trump the wide range of skills required of CEOs. When CIOs take up the reins, it will never be purely because of their IT knowledge, but rather because of the skills they've also developed in other areas along the way - many of which aren't a natural fit with IT leaders within organisations. Simply put, it is the exceptional rather than the average CIO who will progress to the very top of the organisational hierarchy. This article was first published in the June 2016 edition of ITWeb Brainstorm magazine. To read more, go to the Brainstorm website.